20,83 € 20,83 € tax incl. Socket SIMON 36A - 82952 Secure socket single-phase 230V - 13A specially designed for electric car charging . It guarantees a fast charging and Secure Mode 2. It is sized to charge up to 16A repeatedly, but in practice electric vehicles generally permit a maximum of 13A this socket. 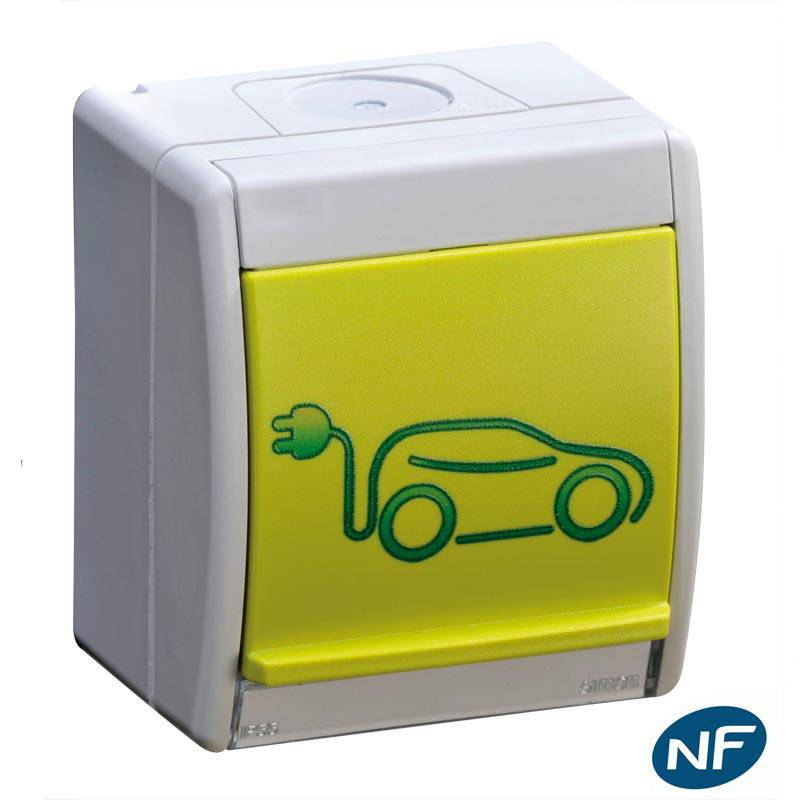 The decision has a dual function: it will allow your electric vehicle to allow the charge, which is not always the case with a standard socket, and in addition it will allow a load to 13A, or 10A against 8 to a standard socket. It is suitable for individuals and professionals, inside and out. A protective flap protects against water and dust. The plug must be installed on a dedicated line upstream with a differential switch and a circuit breaker. Gain autonomy 15km per hour of charging. CarPlug tested Simon socket on its premises with a Tesla S and the charging cable Tesla mode 2. Charging works and can go up to 13A. Note that the charge did not start on standard 220V socket our premises.